MANAGER SPECIAL.........LOW MILES........GAS SAVER.........EXCELLENT........ON SALE NOW !!!!!!!!!! 2014 NISSAN ROGUE SELECT, 43K MILES !!!!!! 2.5L 4 CYLINDER........ONE OWNER !!!!!!!!!!!!! ........GREAT GAS MILEAGE...........CLEAN CAR FAX.THIS BEAUTIFUL SUV LOOKS SHARP RUNS AND DRIVES PERFECT.......LOADED WITH AUTOMATIC TRANSMISSION , AIR CONDITIONING , AM/FM CD, AUX,..........BLUE TOOTH !!!!!!!! POWER WINDOWS , POWER DOOR LOCKS , POWER MIRRORS , POWER STEERING, DUAL AIR BAGS, 4-WHEEL ABS AND MUCH MORE...........!!!!!!!!!!!!!!!! 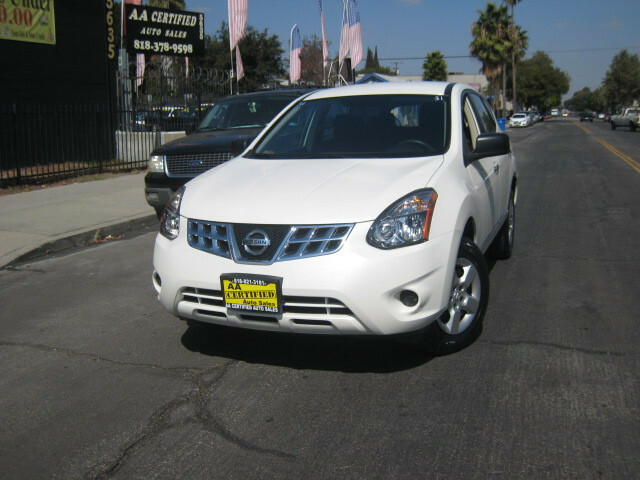 Call Us Now to Schedule a Test Drive (818) 821-3181 OR Come See Us In Person at 5635 Tujunga Ave. North Hollywood CA. 91601...............Vehicle History Available ........ Financing available. BAD CREDIT, NO PROBLEM (on approved down payment). Your JOB is your Credit ...........................WE HAVE MORE LOW MILEAGE AFFORDABLE VEHICLES IN STOCK FOR YOU TO CHOOSE FROM. Remaining Factory Power Train Warranty.